Discover your Wears Valley cabin rental, "Take My Breath Away!" 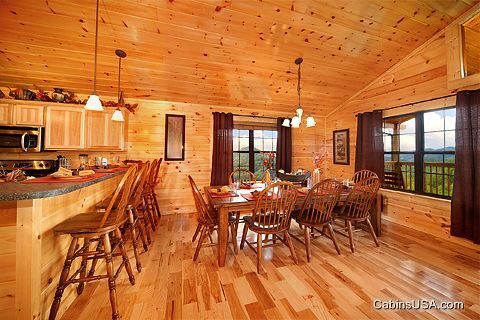 This 2-bedroom home theater cabin with a 5 Star View rating provides everything needed for an exceptional Smoky Mountain vacation. 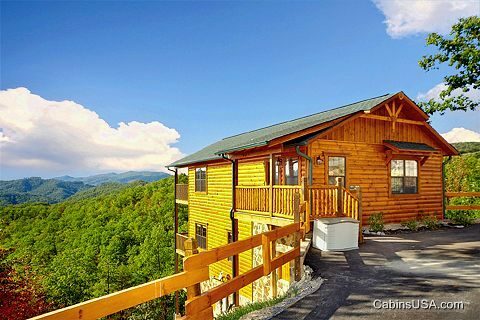 The fantastic Smoky Mountain views from this luxury Wears Valley cabin provide seemingly endless glimpses of the beauty of the Smokies! 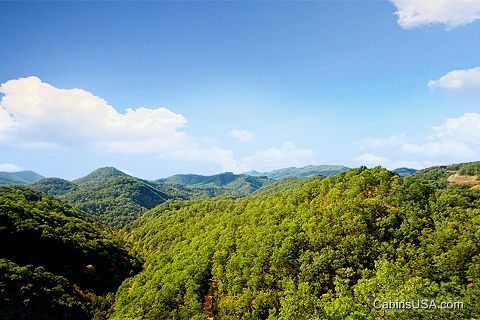 The short scenic drive from Pigeon Forge to "Take My Breath Away’s" location in Wears Valley offers breathtaking views of the scenic landscape and unique mom-pop stores filled with one-of-a-kind items that make perfect gifts for folks back home. 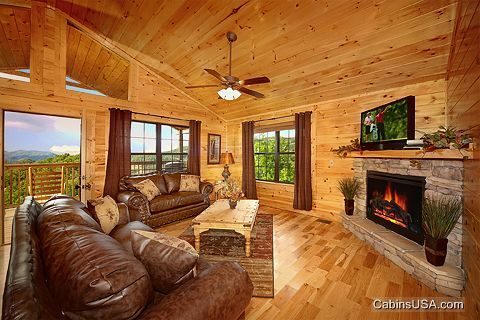 Inside this Wears Valley cabin rental, an open floor plan greets guests with a spacious living room that features a large flat screen television, stacked stone gas log fireplace, comfortable leather furnishings, and lots of windows to draw in those spectacular Smoky Mountain views. Enjoy snacks to holiday meals from your spacious, modern kitchen with stainless steel appliances, breakfast bar, and dining room table big enough for the whole family to gather for delicious family meals. 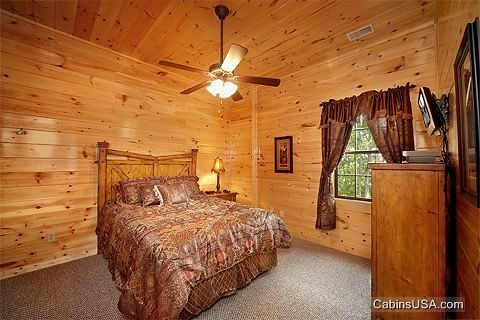 Each of the bedrooms boasts a king-size bed and flat screen television. 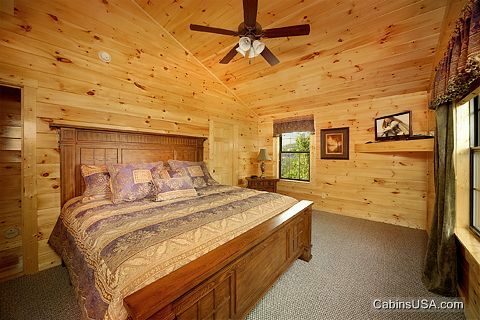 Additionally, 2 sleeper sofas provide additional sleeping space, allowing this home theater cabin to accommodate up to 8 guests. 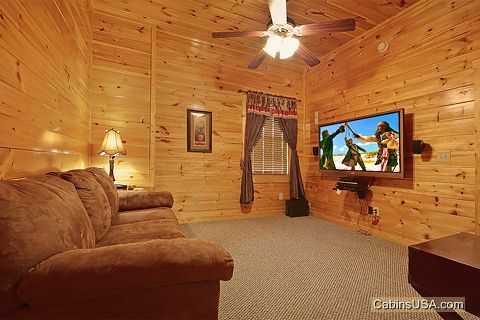 Movie night at your Wears Valley cabin will be a hit with the whole family and features a large flat screen television, a plush sofa, and surround sound system. Your cabin's theater room isn't the only source of entertainment. 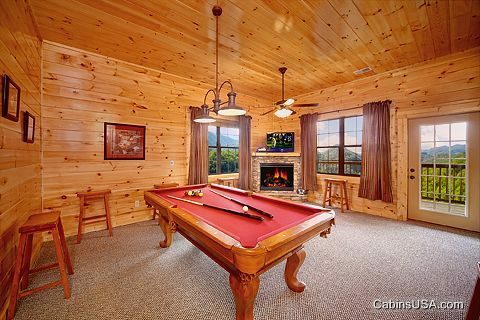 This Wears Valley cabin rental's large game area invites friends to gather for some friendly competition over a few games of pool. 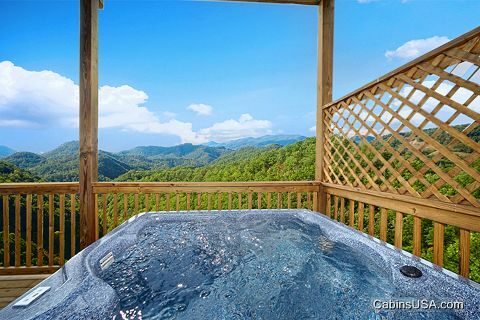 Outside, enjoy the panoramic views from the rockers on either of your cabin’s 2 decks or simply relax in the hot tub while you soak in the mountain views. 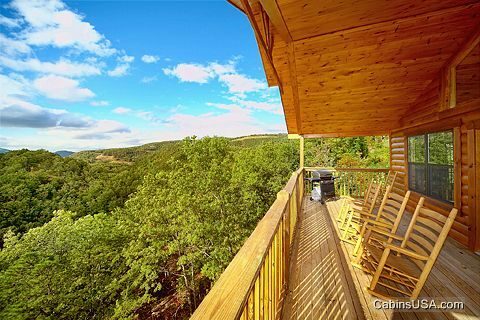 Host a cookout on the gas grill and enjoy a family meal together with the rolling hills as your backdrop. 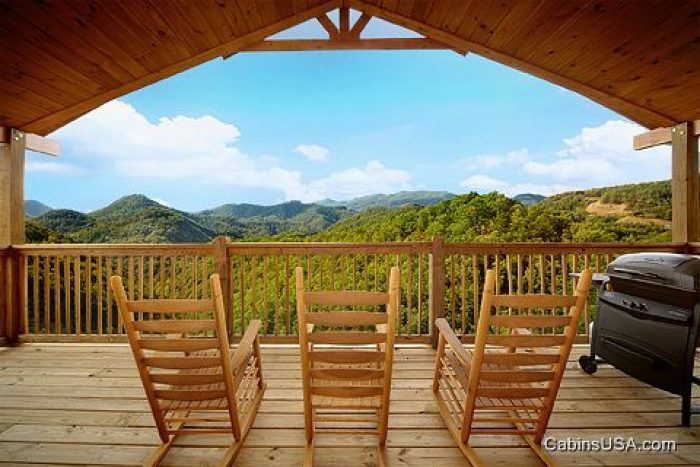 Plan your trip to this beautiful 5 Star view Wears Valley cabin, "Take My Breath Away." 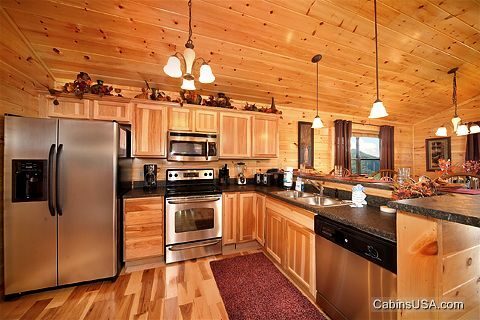 BOOK your Wears Valley cabin rental ONLINE with Cabins USA Gatlinburg for an immediate Online Cabin Rental Special!